We currently have two Neatopricer platforms, version 3.x and 4.x. 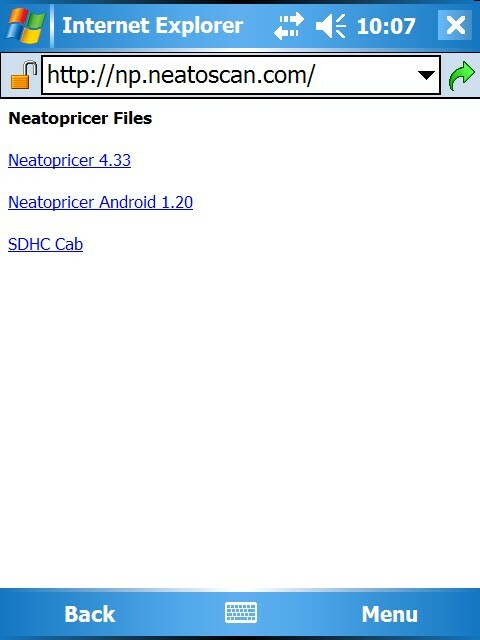 Please see the section below specific to your version of Neatopricer. 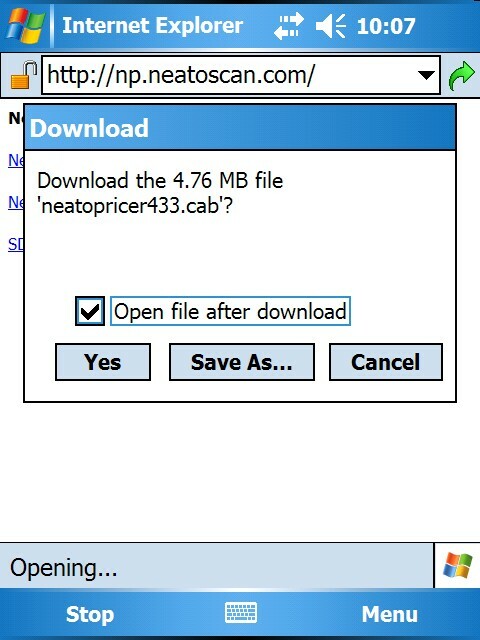 Starting today, you can download a new version of Neatopricer that will allow you to download a database built using the new data. There are a few changes with the new database. Medium - This is the largest database that will still fit on a 2gb card. It includes all product catalogs but limits it to items that are ranked 6 million and under. Large - This database is similar to the old database. It includes all catalogs will all "ranked" data. It unfortunately has grown beyond the limits of a 2gb card and so requires a 4gb card to use. 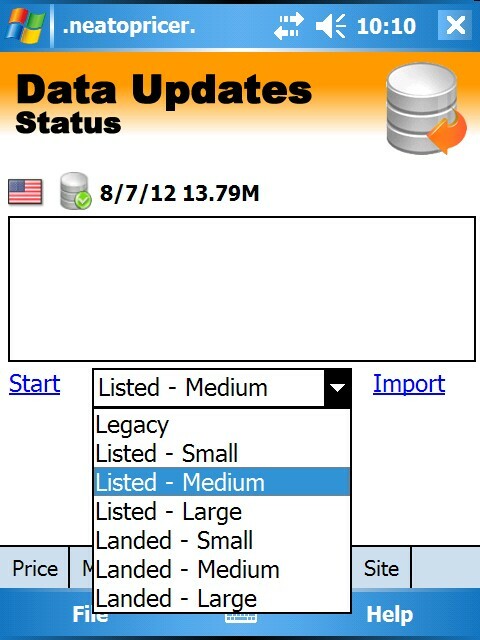 All three of these databases come in "Listed" or "Landed" options. You can either download "listed" prices as in the current database, or if you would rather see the price + shipping, select the "Landed" database option. We are considering adding a few more options. Let us know what your favorite configuration would be and perhaps we will add it! For example, we are considering adding a "tiny" database that would be similar to the "small database" except only include items over $1.00 in price. This would make for a really, really fast download. Note: If you have a Somo PDA, it should support a 4gb card natively. You can buy a new card from Amazon here: If you do not buy this specific SD card, please make sure it is not a Kingston SD card. We have verified that these scan really slowly and so won't be suitable for use with Neatopricer. Some Dell X51s (but not the X50s) will support a 4gb card as well, if they are upgraded first. You can find instructions on upgrading your Dell x51 to support a 4gb card here. Because Amazon is now providing us with the "shipping" price in addition to the "listed" price of an offer, it makes processing triggers a little bit more difficult. To make it easier, we have decided to require that all triggers be based on the "landed" price and not the "listed" price as is currently the case. You will need to update your triggers to reflect this. 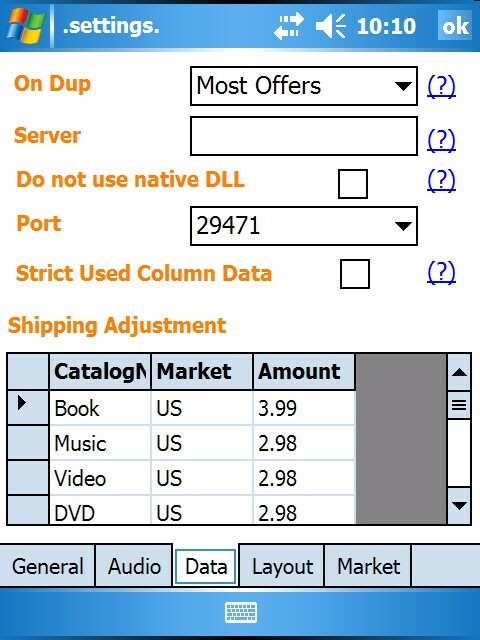 Regardless of which database you download above, the listed or landed database, both require that the triggers are based on the "landed" price. If you download a "landed" price database, this table isn't used. To access these new databases, you'll need to be running version 4.36 or higher. 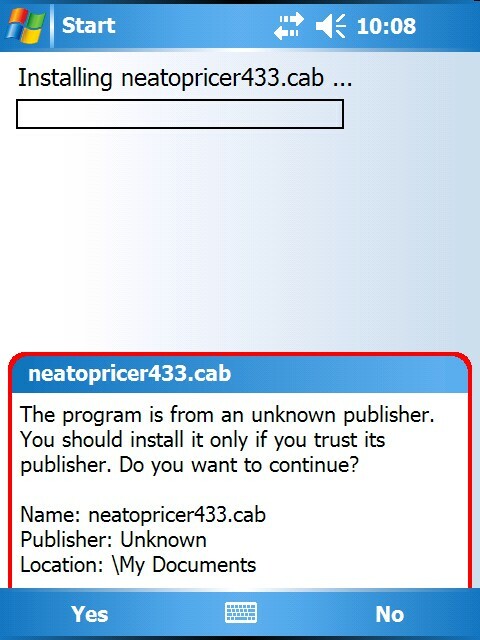 Here is how to install the new version of Neatopricer. "Open file after download" checked. 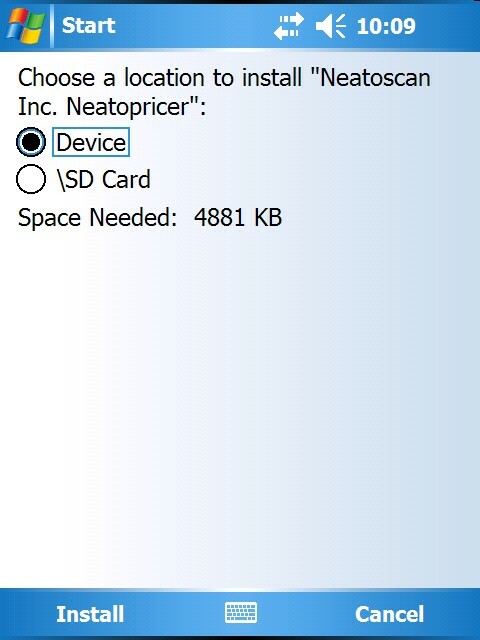 Select "Yes" to install the application. Leave the default on "Device" and click "Install." message warning you about the triggers. Once installed, select the database you'd like to download. Legacy downloads a database based on the old Amazon data, but this option will return the "Listed - Medium" database after we have switched 100% to MWS this month. On August 22th, all versions of Neatopricer will begin returning data from the new API. 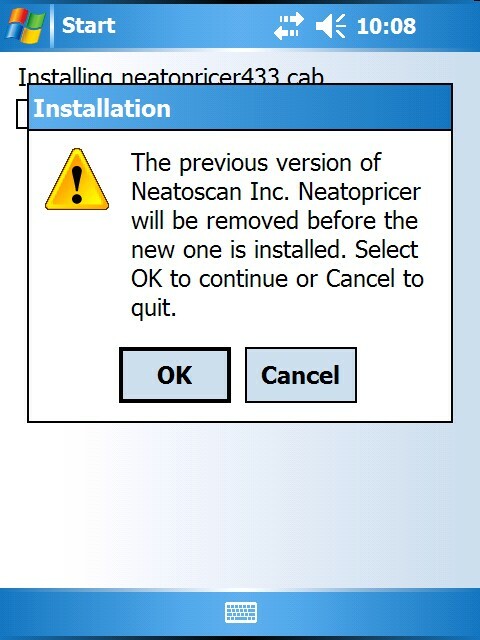 While we are planning to continue to provide data for Neatopricer 3.20, 3.21 and 3.22, we strongly recommend that you upgrade to the latest version of Neatopricer. We are unable to offer a "test" version of the database for these versions of the software. And at this point the 3.x line of Neatopricer is over 5 years old and so we are not officially supporting it. 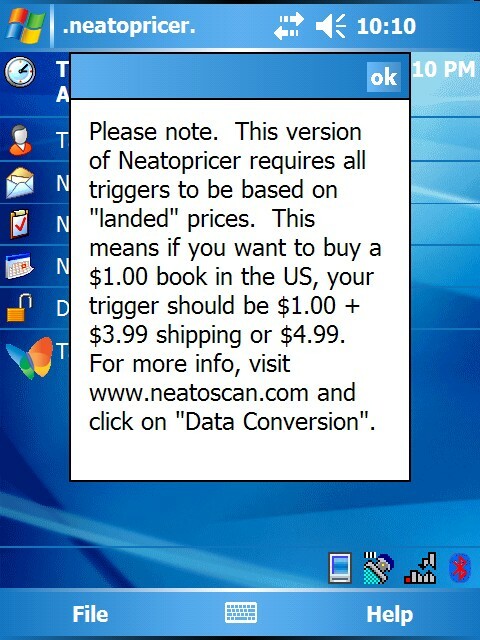 Neatopricer 3.x will continue to only return "listing" prices, not "fully landed prices" as will be the case with version 4.x.